The Body from Paul Davis on Vimeo. 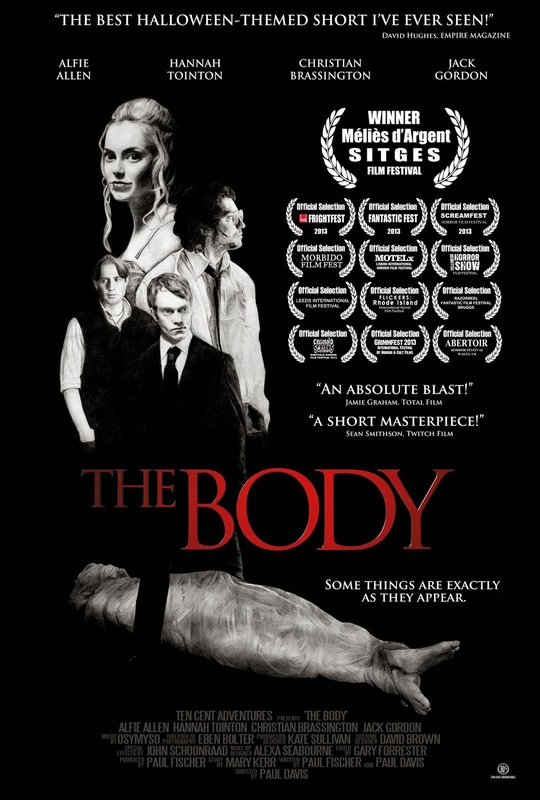 For 24 hours, in celebration of Halloween, we have the chance to see for free Paul Davis’ award winning short movie, “The Body”. “The Body” recently won the prestigious Méliès d’Or, awarded by the European Fantastic Film Festivals Federation, for best short film. A professionall killer (Alfie Allen, GAME OF THRONES) discovers he can get away with anything on Halloween night, including dragging his latest victim around as a prop amidst a sea of oblivious London partiers. I was relieved when finally news about the new volume of “The Year’s Best Australian Fantasy and Horror” reached me, not because there are no more such anthologies of year’s best out there, on the contrary I do have a couple I follow devoutly together with this one, but because this excellent collection showcased some wonderful fiction from Down Under. At a first glance, collections such the Australian Best Fantasy and Horror might seem as a narrowing in selection, but I actually find them a welcome expansion of similar anthologies that have a wider coverage. As time and the first three volumes of “The Year’s Best Australian Fantasy and Horror” proved there are plenty of talented voices and outstanding stories that deserved a presence in any year’s best but missed the more established ones due to the available space. 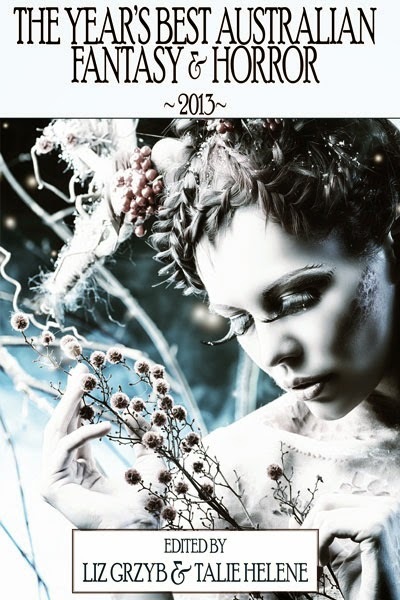 Therefore I thrilled with the publication of yearly collection dedicated to a certain country or region, such as the already mentioned “The Year’s Best Australian Fantasy and Horror” and “Imaginarium: The Best Canadian Speculative Writing”. The latter sees this year its third edition being published and, after Sandra Kasturi joined forces with Halli Villegas and Samantha Beiko for the editing of the first two volumes, this year none other than the very gifted Helen Marshall is one of the editors. 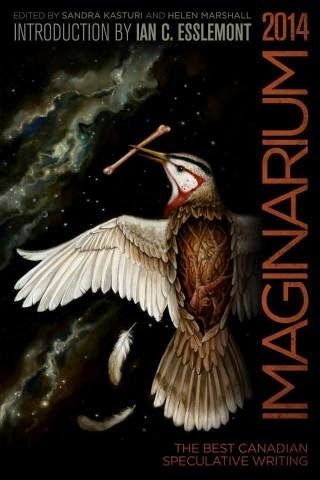 I am as excited as I was with the publication of the first “Imaginarium” two years ago, if not even more enthusiastic since I was rewarded with some high-quality stories in the first two volumes of this “Best Canadian Speculative Writing”. This year seems no different, there are a couple of my nowadays favorite writers on the table of contents together with some who are just waiting to be discovered. And with a release date set for November, 4th it appears that the end of this year I have my hands full with such yearly collections. I see no reasons for complaining however, in such cases the more of them, with such quality, the better. Unfortunately the Romanian speculative fiction lost one of its pillars these days. Ştefan Ghidoveanu was a writer, editor and translator, one who put great effort into the promotion and development of modern Romanian science fiction. He departs too early, leaving behind an important legacy to the local speculative fiction, but sadly not as rich as could have been. May his travels beyond be far and wide! Pirates have appeal, it seems they always had. It is a very interesting thing to observe for such a criminal, violent activity producing such an attraction, for such vicious villains becoming romanticized heroes more often than not. 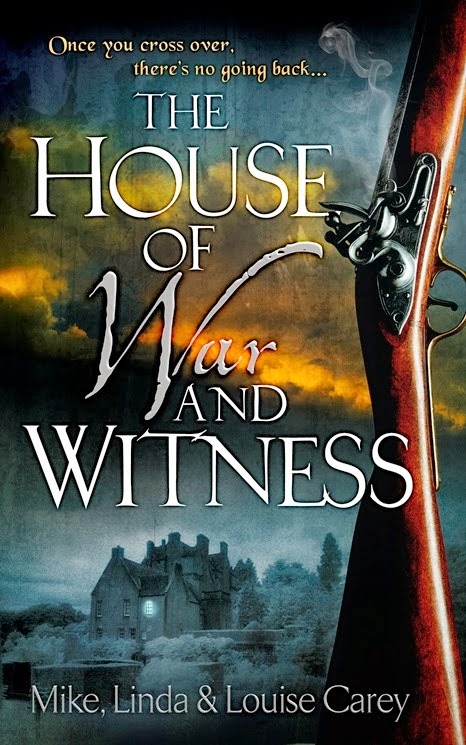 Yours truly is no exception, in historical books or pure fiction I surprise myself picturing them as valiant adventurers before starting to consider their savage nature and brutal acts. It is no different with the comics written and illustrated by the Belgian duo, Jean Dufaux and Jérémy Petiqueux, “Barracuda”. The famed pirate ship Barracuda, led by the infamous captain Blackdog, seizes a vessel and capture some of the passengers travelling on it, Doña Del Scuebo, her daughter Maria and Emilio, a young servant boy who disguises himself as a girl in order to avoid being killed by the pirates, the fate of almost every man on board of the captured ship. The three of them are brought to Puerto Blanco and sold as slaves under the supervision of Blackdog’s son, Raffy. There is nothing romanticized in the pirates of this first volume of “Barracuda”, they are a lot as vicious as they can be. Even from the beginning their courses of action lead to utter violence, exploitation and abuse. However, Jean Dufaux and Jérémy manage to keep the ugly side of the story in check, the ferocity of vile acts are more hinted at rather than treated in full graphic, verbal violence preceding the physical one and plenty of the misdeeds taking place off screen, sparing characters and readers alike from full front extreme brutality. The conflicts still escalate, but most often only into swashbuckling scenes typically associated with such adventures. “Barracuda – Slaves” is still a dark and fierce story, but nicely rounded so it cannot turn into an offensive tale. Caught in this world of violence are three young people, Maria, Emilio and Raffy, the three characters that emerge as the main protagonists of this volume. Colliding here and there and ending up stranded in Puerto Blanco the three youngsters approach the story from different sides. And from different perspectives as well, since Emilio’s part is told from first person point of view and the other two from third person, yet it turned out that it didn’t exercise more sympathy from my part for Emilio and it does not make him a more developed character than Maria and Raffy. Crisscrossing paths these three characters seem to be heading towards a common point in the story, but this doesn’t happen in “Barracuda – Slaves”, the volume feels and is the introduction part. It is the starting point for a larger story, taking into account the initial details of setting, plot and characters. 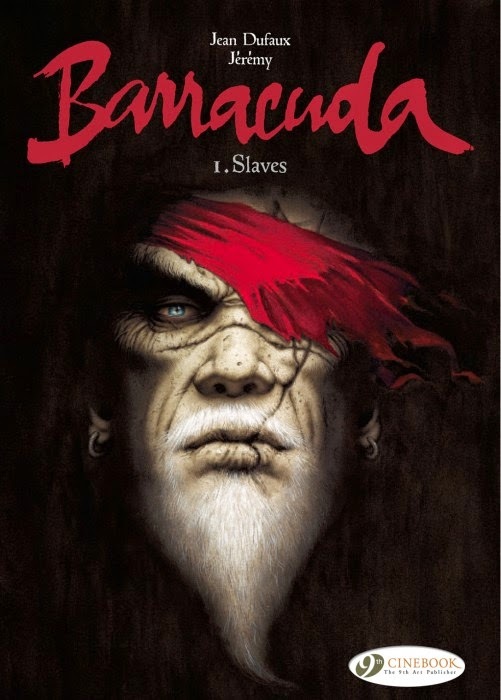 The feeling of introductory part is felt even from the title of the series and the cover of the first volume, “Barracuda” sporting the portrait of Blackdog, the captain of the title eponymous pirate ship, on the cover of “Barracuda - Slaves”, but both making the slightest of appearances in the story of this comic. However the plot leaves plenty of room for the development. A map pointing the directions to a certain extremely valuable diamond falls into Blackdog’s hands and he sets sail in search of it at the end of the book. The pirate island’s governess has her own plans for Barracuda and its captain and together with her right hand starts a little game of politics. The mysterious figure, who exerts a powerful influence among Puerto Blanco’s pirates, entering into Emilio’s life promises interesting things for his story arc. Spread elements of a wider plot, but all very interesting and holding the potential for making the “Barracuda” series even better than it already started. Only one thing kept bugging me at the entire enterprise, although we are dealing with merciless scoundrels they seem to conceal an odd respect for the religious representatives. Blackdog’s crew spares for no reason the life of a priest when they seize the ship he is on, although Emilio needs to disguise himself as a girl in order to escape the pirates’ habit of killing every single man on the captured ships. And in Puerto Blanco, the harbor of a pirate island festering with villains, where even the governess rule is based on the principles of piracy, there is present a church that escapes unscathed although it plays a role into the island’s slave trading. I am aware of the place these elements have on the whole and the role they play within the story, but they do look awkward, especially when the cast is brimming with characters of low morals, farfetched from the pious bunch. The art of Jérémy adds further vividness to the world of “Barracuda”. Battle scenes and settings nicely done, colors used with ability and above all, the excellent rendering of characters. Each and single one is portrayed with talent, each is given individuality and personality. Emotions are captured effortlessly, feelings are depicted with accuracy. Every panel would work wonderfully on itself as a small piece of art, but together with the story it creates an excellent combination, fusing Jérémy and Jean Dufaux’s efforts harmoniously, with the best possible outcome. “Barracuda – Slaves” opens the road for a wider story, it is a mood setter, but it does so leaving the reader itching for Jean Dufaux and Jérémy’s continuation of this comic book series. I find K.J. 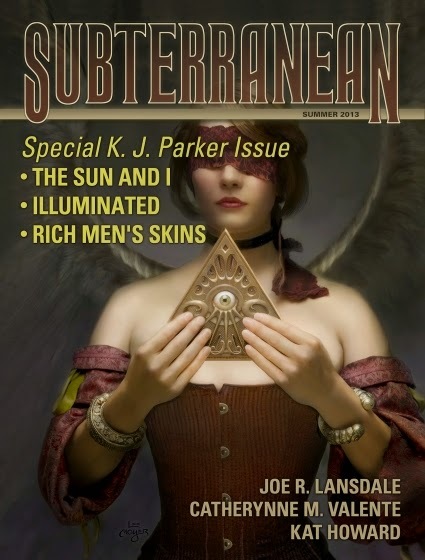 Parker to be one of the best and most original fantasy writers, her/his works have always surprised and thrilled me. And the form of the said works has little relevance, no matter if it is a series or a stand-alone novel, a novella or a short story, fiction or non-fiction K.J. Parker excels with every single one of them. Therefore each piece of news about a new book or short story signed by this excellent writer brings me nothing but delight, as it is the one hinting at K.J. Parker’s new novel. With a release date set for February 2015 “The Invincible Sun” is the first novel in a new trilogy by K.J. Parker. There is not much more information to be had at the moment and even the scarce one surfaced so far is pretty general. The first in a epic trilogy from the acclaimed author of Sharps. K.J. Parker's new series is a perfectly executed tale of intrigue and deception that will leave you breathless. THE INVINCIBLE SUN tells the story of an empire. With an extraordinary cast of characters, from soldier and generals to politics and princes, THE INVINCIBLE SUN will appeal to a broad range of fantasy readers and is destined to become a landmark work in the genre. However, I am certain there is nothing of standard issue about K.J. Parker’s “The Invincible Sun”. After all, I don’t have only my preference for K.J. 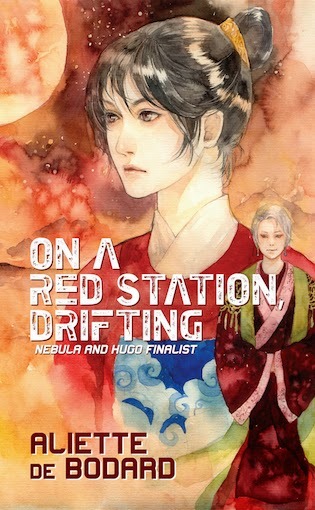 Parker’s works to back me up, but also the short stories sharing the same universe as the upcoming novel. 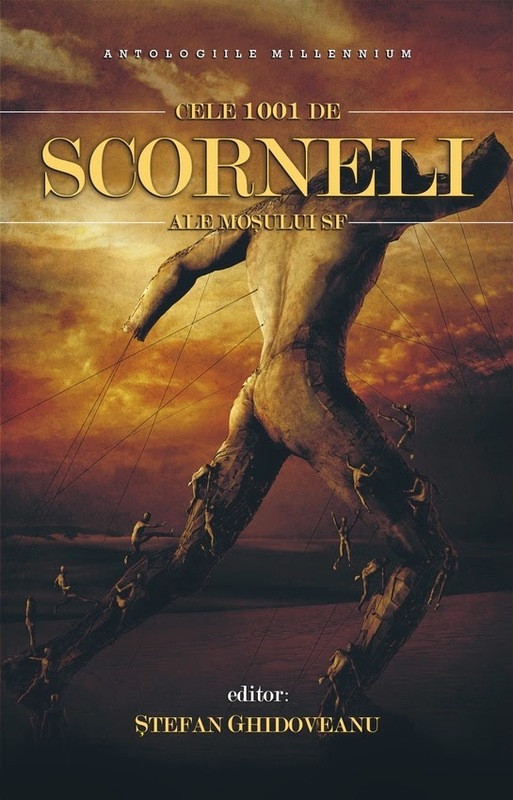 Three of which can be enjoyed for free online, “Amor Vincit Omnia”, “One Little Room an Everywhere” and “The Sun and I”, with the last one depicting the birth of the religion of the Invincible Sun. For me, K.J. Parker’s “The Invincible Sun” is the most anticipated book of February 2015. I must admit that I am not very familiar with Robert Aickman’s fiction, besides a couple of short stories I didn’t get many chances to read his works. 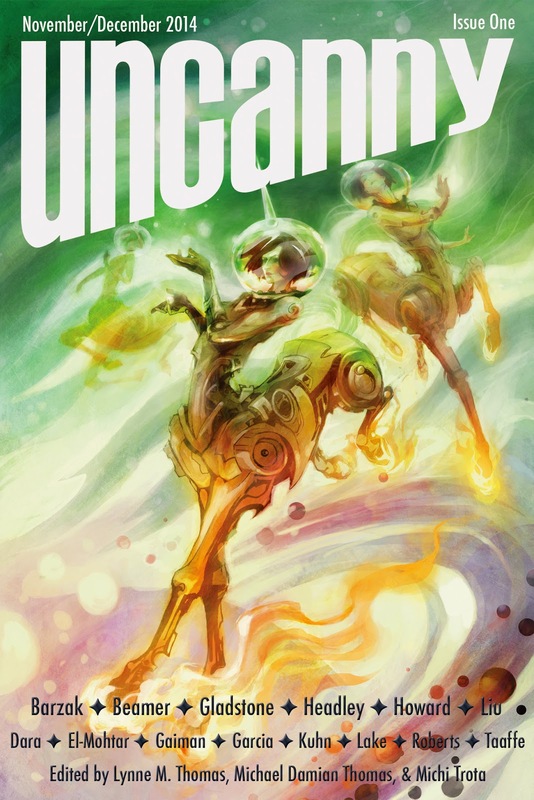 However, I have full confidence in Undertow Books and Michael Kelly, my experience with “Shadows & Tall Trees” magazine has been nothing by the best, while the first volume of “Year’s Best Weird Fiction”, the latest release of this small publishing house, looks extremely promising. You may rightfully ask why I am talking about these two. 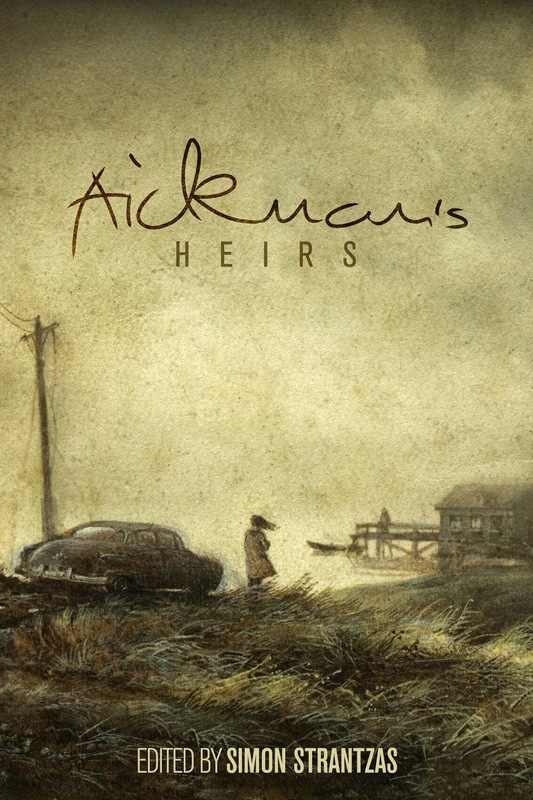 Well, Undertow Books recently announced its next scheduled book, “Aickman’s Heirs”, edited by Simon Strantzas and due to be released on spring 2015. As the title suggests this collection of short stories is dedicated to Robert Aickman and his influence on the weird fiction and, like I said, while I am not familiar with his works I am very interested to see what Undertow Books has in store with this title. Not only that, but although there are not many more pieces of information about this anthology at the moment the cover artwork for “Aickman’s Heirs” sparked my imagination instantly and made it go wild. Born from the talented brush of Yaroslav Gerzhedovich this is one of the most evocative covers I’ve seen lately, deeply atmospheric and utterly enthralling. Creating a complete story by itself Yaroslav Gerzhedovich’s artwork spellbound me into profound admiration. Add the excellent lettering and the final result is absolutely wonderful. 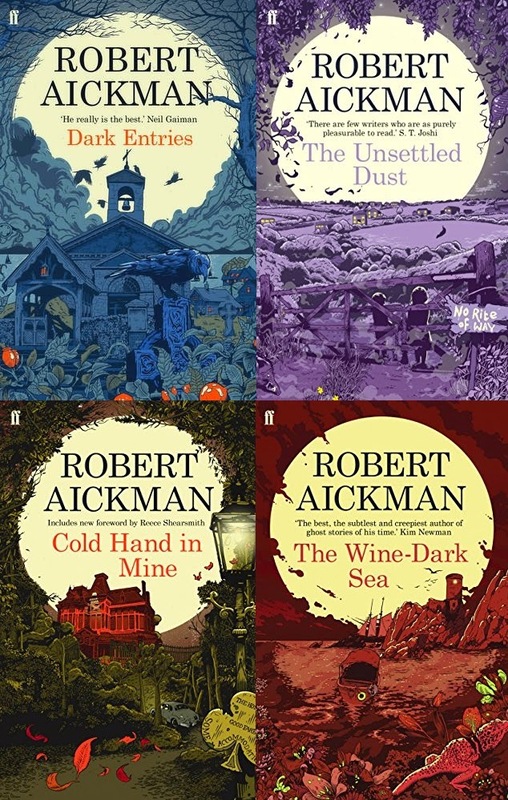 Speaking of Robert Aickman and cover artwork, Faber & Faber published this year new editions of four of Robert Aickman’s short stories collections, “Dark Entries”, “The Unsettled Dust”, “Cold Hand in Mine” and “The Wine-Dark Sea”, with some excellent covers as well. A bit more crowded than “Aickman’s Heirs” but very good nonetheless. Vincent Chong, one of the favorite artists around this blog, launched a sale on all limited edition prints born from his very talented hands. Starting this week until December 31st the price of the limited edition prints drops with 25%. 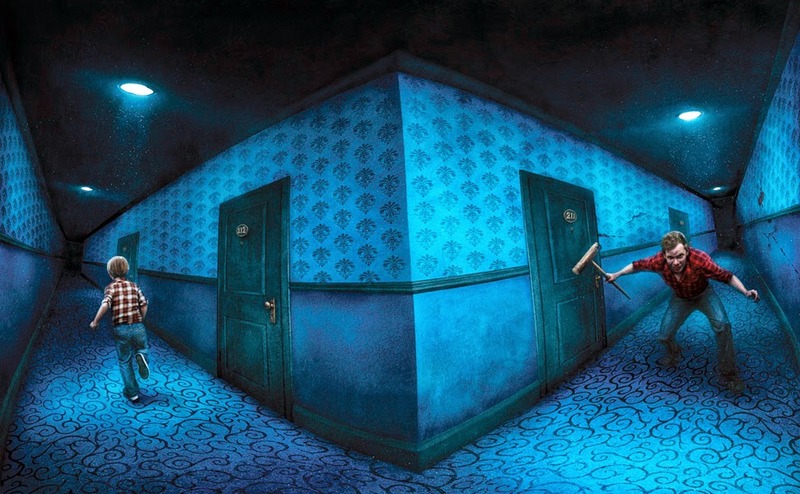 These include the wraparound dusk jacket art made by Vincent Chong for the limited edition Stephen King’s “The Shining”, but also several other cover artworks for limited editions of Stephen King’s “Doctor Sleep”, Joe Hill and Gabriel Rodriguez’s “Locke & Key: Crown of Shadows”, China Miéville’s “Embassytown” or Martin Livings’ “Living with the Dead” among them. If you like to have one of these limited edition prints you can find all the available ones and more details about Vincent Chong’s sale on his personal website. 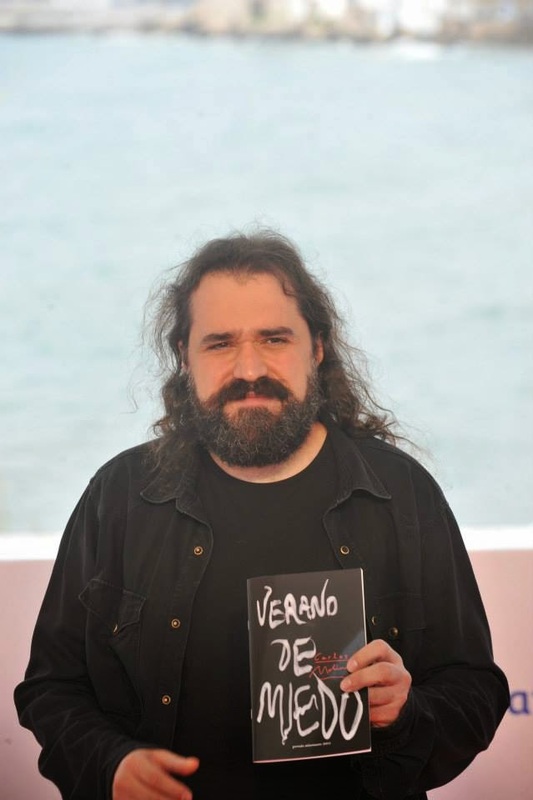 Yesterday, in a ceremony held in Sitges, during the 47th edition of the International Fantastic Film Festival of Catalonia, the winner of the Premio Minotauro, the International Science Fiction and Fantasy Literature Award, has been announced. The jury of the 11th edition of Premio Minotauro, formed by Adrián Guerra (producer), Ángel Sala (the director of the Sitges Film Festival), Marcela Serras (editorial director of Minotauro), Javier Sierra (writer) and Carlos Sisí (writer and winner of the 2013 Premio Minotauro), elected from a total of 450 manuscripts Carlos Molinero’s novel, “Verano de Miedo” (Summer of Fear), as the winner (submitted under the false title “Hermana Noche” (Sister Night), signed with the pseudonym Morgenstern). 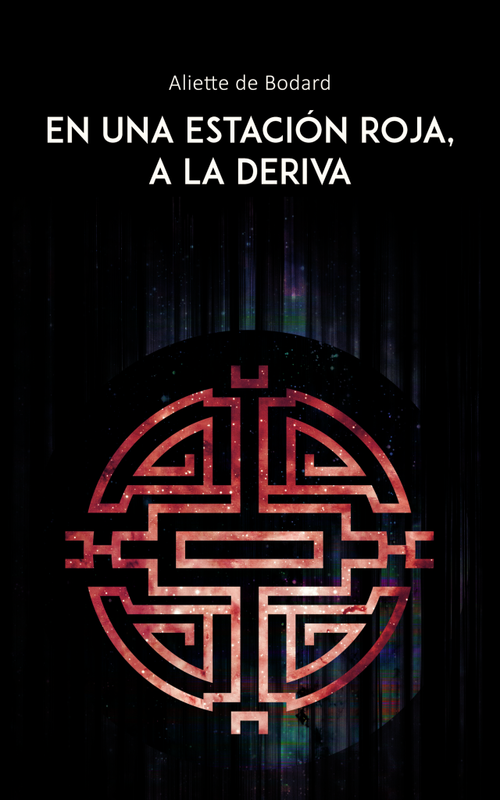 As usual, besides the prize of 10,000 euros received by the winner, the novel will be published by Ediciones Minotauro and it is due to be released on 28th October. 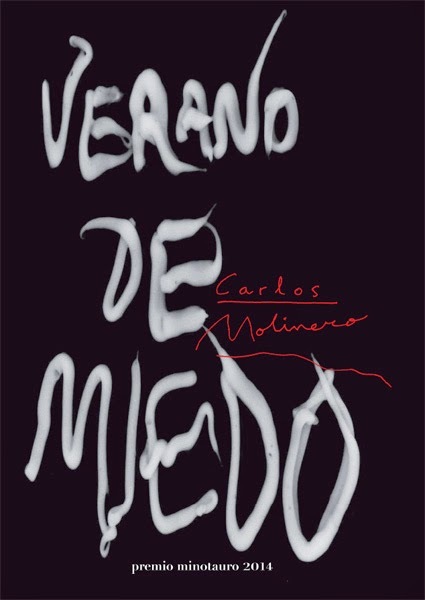 When his mother announces him that he’ll spend the summer melting his vacation in Vega Alta, the village of his grandmother, the first thought that passes through Juan’s mind is that he is going to die of boredom. But the construction of some villas in the outskirts of the village unearths a blood thirsty creature that from this point forward makes boredom impossible. Dying is another matter. “Summer of Fear” is not only a quick and refreshing novel, but also a homage of the classics of horror and of those summers, bloody or not, that change our lives.